The United Kingdom is once again going digging for a dead king. This time they’re looking for Henry I, son of William the Conquerer, said to have died after eating too many lampreys. How many rotting royals have you lot misplaced over there? As a refresher, a few years ago archeologists found the long-lost body of Richard III—underneath a Leicester parking lot. 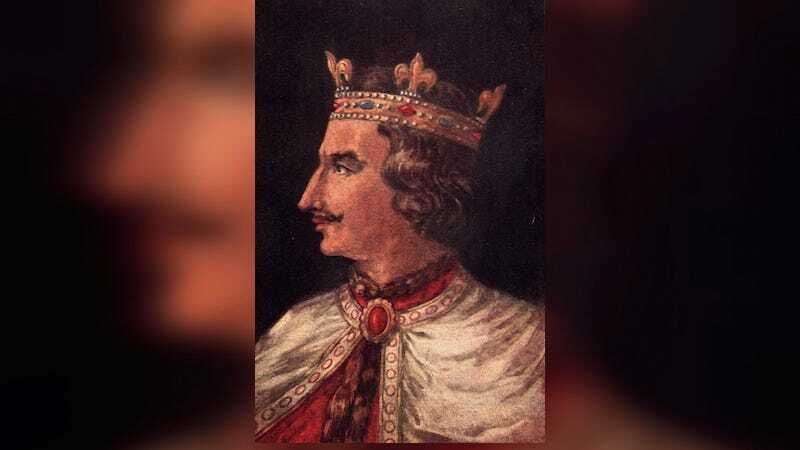 He’d been missing for 530 years, and to positively identify the remains, they had to compare the DNA to that of modern relatives, including a Canadian cabinetmaker descended from the fallen king’s sister, Anne of York. The New York Times says they’re also looking at a nursery school, as well as the parking lot of a local prison. The Times also makes it sound unsurprising that the English didn’t worry too much about keeping track of Henry. A son of William the Conqueror, who ascended to the throne after the death of his elder brother William II, Henry has been described as a usurper because he seized the crown while another elder brother was away on a Crusade. Henry also had a reputation for cruelty; he is said to have had the tips of the noses of two of his granddaughters cut off. But he is also credited with strengthening the monarchy and putting in place efficient — if sometimes oppressive — administrative policies.